WEDNESDAY, Dec. 6, 2017 -- Newer versions of the birth control pill carry a similar increased risk of breast cancer as earlier ones that were abandoned in the 1990s, a new study reveals. Women taking modern formulations of the pill have a 20 percent increased risk of breast cancer compared with those who've never been on hormonal contraception, the study of almost 2 million Danish women found. "The risk increases with increasing duration of use and persists for more than five years, if used for longer than five years," said study author Lina Morch, a senior epidemiologist with the University of Copenhagen in Denmark. Still, experts cautioned that the absolute risk of breast cancer for any one woman on the Pill remains very low. "There had been some changes to oral contraceptive formulations in the '90s, and there was the hope those formulations would result in a lower risk of breast cancer," said Gaudet, who was not part of the study. "We see from this data that is not the case." Morch and Gaudet noted that breast cancer is relatively uncommon in younger women, so a young woman's overall risk of breast cancer still is low, even if she's taking the pill. And the latest study only showed an association -- it did not prove that taking the newer versions of the pill actually caused breast cancer risk to rise. To put things in perspective, the overall risk posed by taking the pill for one year amounts to one extra breast cancer case for every 7,690 women aged 15 to 49, the researchers calculated. "Women in that age group [already] have a very low absolute risk of breast cancer," Gaudet said. "Taking a very low absolute risk and increasing it only slightly is still a relatively low risk." The first wave of birth control pills contained doses as high as 150 micrograms of estrogen. As research began to link estrogen to breast cancer, the FDA took off the market any formulations that had more than 50 micrograms of estrogen, Gaudet said. Today, most versions of the pill contain between 15 and 35 micrograms of estrogen, Gaudet said. They also contain progestin, a synthetic form of the female hormone progesterone, which helps regulate the monthly menstrual cycle. To see whether the lower amounts of estrogen helped reduce or eliminate the added breast cancer risk, Morch and her colleagues tracked about 1.8 million women from 1995 through 2012. They found that women taking estrogen/progestin birth control pills have about a 20 percent increased risk of breast cancer. 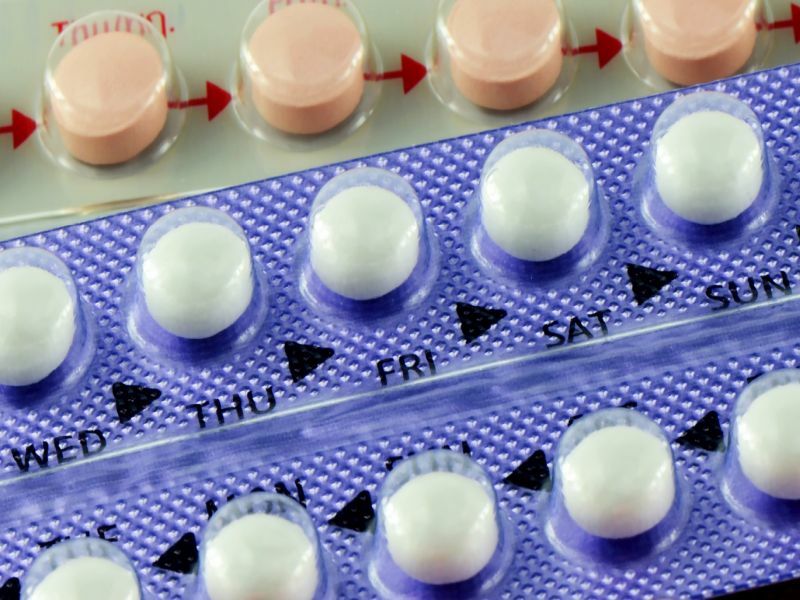 The researchers found a similarly increased breast cancer risk in birth control pills that only contain progestin, as well as in IUDs that release progestin. "Progestin-only products also increased the risk of breast cancer," Morch noted. "Thus, it is not exclusively estrogen that increases the risk of breast cancer." "Estrogen has been the primary focus of breast cancer research in general, and so we know much more about it than we do progesterone," Gaudet said. "It has been known that progesterone probably plays a role in breast cancer, although our research is not as mature as it is for estrogen." Women should discuss their contraceptive options with their doctor or gynecologist, Gaudet and Morch said. "They shouldn't necessarily change what they're doing," Gaudet said. "There was some suggestion in the paper that women might want to consider changing their contraceptive method when they get into their 40s, when their overall risk of breast cancer does start to increase." The new study was published Dec. 7 in the New England Journal of Medicine. For more on oral contraception, visit the U.S. Department of Health and Human Services.